Angela Coulter: What does the NHS long term plan promise for patients? Few patients are likely to wade through all 136 pages of the NHS long term plan, but those brave souls that do will find it contains quite a bit of good news. The promise to make services more joined up, proactive and personalised will be widely welcomed, as will the commitments to tackle long-standing problems such as long waits to see a GP, time wasted in badly run outpatient clinics, lack of coordination of community services, and inadequate responses to mental health crises. Those frustrated by difficulties in getting a timely GP appointment will be pleased to see plans to facilitate access to medical advice via a new digital point of entry—the NHS App—due to be rolled out shortly. This has been a long time in development, but eventually it should allow us to make appointments, find health information, view our medical records, and access virtual advice, all via a single app on our smartphones. People who have to attend hospital outpatient clinics will be interested to know that NHS England plans a major shake-up of these services. The long term plan suggests that up to a third of the 120 million appointments each year could be avoided altogether or replaced by online consultations. This is excellent news for those of us who have to use these services, many of whom spend hours of our valuable time getting to a hospital with inadequate public transport or lack of parking spaces, only to sit around for more hours waiting for a consultation that lasts only a few minutes. Of more significance to people’s health are the commitments to improve coordination of care, including greater emphasis on prevention and reducing health inequalities, better integration of emergency services, more NHS support for those in care homes, a big improvement in provision of mental health services, enhanced support for carers, and a promise to deliver community health crisis response services within two hours of referral. The most disappointing omission from the plan is the lack of coherent proposals for tackling multimorbidity, arguably the greatest problem facing the health service. A recent study by the Health Foundation reported that more than 14 million people (one in four) live with two or more conditions and these account for over half of hospital admissions and outpatient visits and three quarters of primary care prescriptions. Yet our health system, in common with others around the world, is organised around single diseases and there is alarmingly little research on how best to manage multiple conditions. It is strange therefore that the long term plan did not give more prominence to its best answer to the multi-morbidity problem, namely the Comprehensive Model of Personalised Care. Referenced in the report, but published about a month before, the model outlines a strategy for providing better support for people with long term physical and mental health conditions by giving them greater choice and control, with the aim of building their knowledge, skills, and confidence to live well with their health conditions. Promising personalised care for all, including shared decision making and care and support planning for all those who want and need it, the Comprehensive Model of Personalised Care was excellent news for patients, especially those with multiple long-term conditions. So why were only a few short paragraphs devoted to it in the long term plan, lowering its ambition from a comprehensive, holistic approach down to focus on a few relatively small target groups? And why does the chapter on major diseases contain hardly any information on how the delivery of care will change to give more involvement in decisions and better self-management support to patients? This is just an outline plan and more details on how it will be actioned are due shortly. We must continue to hope that the commitment to personalised care will eventually be threaded through all the other commitments, leading to the major shift in care delivery that many patients have been calling for. 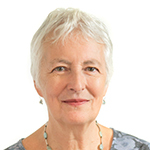 Angela Coulter is a non-executive director of NICE and a member of the BMJ’s patient panel. Competing interests: Angela’s full declaration of competing interests can be found here. Stafford M, Steventon A, Thorlby R, Fisher R, Turton C, Deeny S. Understanding the health care needs of people with multiple health conditions. London: Health Foundation; 2018. Available from: https://www.health.org.uk/publications/understanding-the-health-care-needs-of-people-with-multiple-health-conditions. NHS England. Comprehensive Model of Personalised Care. London: NHS England; 2018. Available from: https://www.england.nhs.uk/publication/comprehensive-model-of-personalised-care/. Jan Filochowski: Will the NHS long term plan address the crisis currently facing the NHS?